The Best Guide to Rome Italy . . .
Coming to Rome Italy? Don't you wish you had a friend who lived here — someone who could give you the inside scoop on what to see, where to eat, where to shop and more? This is the site for you. 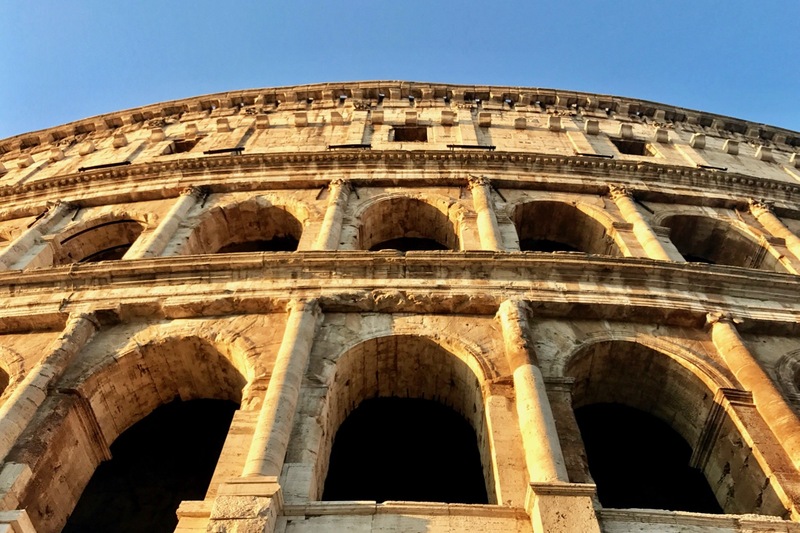 Want to know my tips for visiting the Colosseum and other sites in Rome? This is the place! A visit to Rome can be daunting, over-whelming and even tiresome…or it can be magical and full of excitement and beauty. The first time I came to Rome, I did not enjoy it. Now that I live here, I love it and love to show people all the things I adore about it. I live in Rome, and really know the city, on the ground. I live it, eat it, shop it and love it. Also, I was part owner of a B&B specializing in customer service. On a daily basis, I get to know the kinds of questions people have, and what people really want to know before and during their holiday in Rome. I’ve filled these pages with lots of real Rome Italy tourist information, based on what I know and love about the city, and based on what I know you want to know. What’s a Roma Pass? Is it worth getting one? How can I skip the line at the Vatican? How can I skip the line at the Coliseum? Where can I eat at a local, non-touristy restaurant in Rome? What are some Roman dishes to look for in restaurants? What's the weather in Rome? What sites should I see when I am in Rome? What's the best order to see them in? What shops sell local Italian brands? Where do Romans shop? Where in Rome can I buy shoes? Gloves? Silk ties? Is Rome a safe city to walk around in? Are there neighborhoods to avoid? Do most places in Rome accept credit cards? Should I take the hop-on/hop-off bus around Rome to get a good overview? Is it ok to have a cappuccino in the afternoon? How much should I tip in Italy? I have a Vatican/Coliseum tour booked… What else can I do today? Can I visit Florence while I am on vacation in Rome? How about Pompeii? Do I have to pay to use the bathrooms in Rome? How do I get to the catacombs? Let me help you turn your too-short holiday in Rome Italy into a meaningful one!